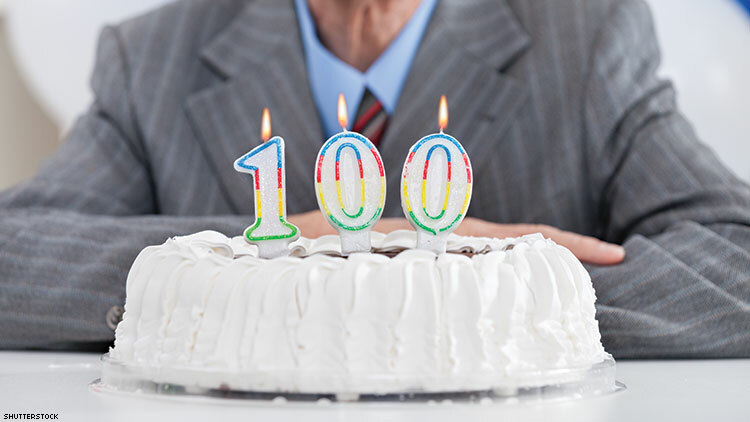 Celebrating a 100th birthday is a huge milestone for anyone. But when Miguel, also known as “the Lisbon Patient,” celebrated his centennial this spring it was also a milestone for the global poz community. That’s because he is the oldest documented person living with HIV in the world. What’s more, his viral load is undetectable, he’s in great geriatric health, and he still lives at home and cares for himself. In light of persistent HIV stigma, Miguel and his family requested that news outlets not display his face in photos nor share his full name. Maintaining that confidentiality, researchers studying Miguel (a pseudonym) nicknamed him “the Lisbon Patient” when referencing him in their case studies and published reports. According to CTV News, Miguel was diagnosed with stage 3 HIV (AIDS) in 2004 when he arrived at a hospital near Lisbon with rare forms of colitis and lymphoma and a low CD4 count. He was 84 then and had no idea he was HIV-positive or how and when he contracted the virus. Fifteen years later it’s clear that Miguel and his medical team made the right decision. Inês Pintassilgo, a medical resident who has been part of Miguel’s treatment team for the past three years, said his health and longevity can be attributed to the fact that he has lived a healthy and active life, and since his diagnosis takes his HIV meds daily.